STIJL Advocaten feels very connected to ‘Mondriaan & De STIJL’. Shared core values are: harmony, balance, inner peace, order, timelessness and universal balance. 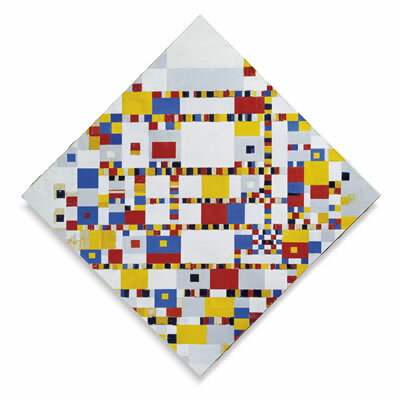 The Mondriaan collection in the Gemeentemuseum Den Haag (Municipal Museum The Hague) is unique in the world. It comprises almost 300 works and covers the whole career of this master of modern art. STIJL Advocaten feels very connected to ‘Mondriaan & De STIJL’ as the largest architectural influence ever seen in the Netherlands. STIJL Advocaten is partner of the Gemeentemuseum Den Haag with the permanent exhibition ‘Mondriaan & De STIJL’. Click here to go to the webpage of the Gemeentemuseum Den Haag. The name STIJL Advocaten was chosen because of its association with property and the core values of the ‘De STIJL’ art movement. Our name also reflects our approach to cases, namely our individual, practical and proactive style. De STIJL, a movement in Dutch visual art and architecture, adhered to a number of core values, including: harmony, balance, inner peace, order, timelessness and universal balance. De STIJL is a variant of abstract art which, unlike traditional art, explicitly avoided being illustrative or narrative. Its artists aimed to achieve the greatest possible simplicity and abstraction. They largely limited themselves to the three primary colours, plus black, white and all shades of grey. The visual artists and architects who associated themselves with De STIJL included Piet Mondriaan, Gerrit Rietveld and J.J.P. Oud. They were convinced that harmonious proportions would permeate all aspects of the visual environment in the future. An essential characteristic of this would be collaboration on an equal footing between painters and architects, whose disciplines had until then remained strictly separate. In 1917, the first edition of the journal “De STIJL” appeared under the leadership of Theo van Doesburg. Until the early 1930s, this journal functioned as the focal point for innovations in painting, architecture, the applied arts and graphic design. When Van Doesburg died, this modernising movement also gradually came to an end. However, its influence can still be seen, for instance in the work of the renowned architect Ludwig Mies van der Rohe. In 2006, its importance led De Stijl to be incorporated in the Dutch canon.